Mention the word “catering” and some cringe-worthy images might come to mind: Dry chicken or overdone beef? Sad green beans. Bland roulade. Being saved by the bread basket. Now erase every one of those underwhelming catering experiences and fast forward to 2017. (Because nobody deserves a chewy stuffed mushroom at their next cocktail hour.) 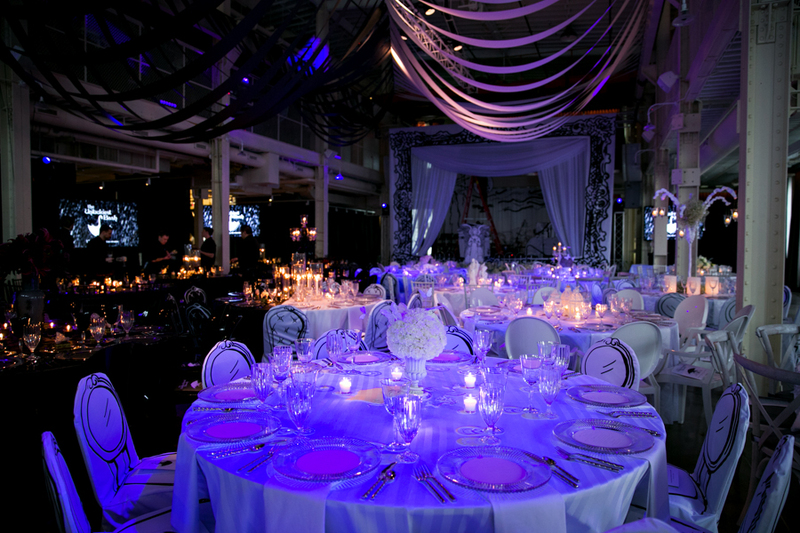 It takes a village to pull off an event and we’re here to walk you through the science of executing a seamless soiree. 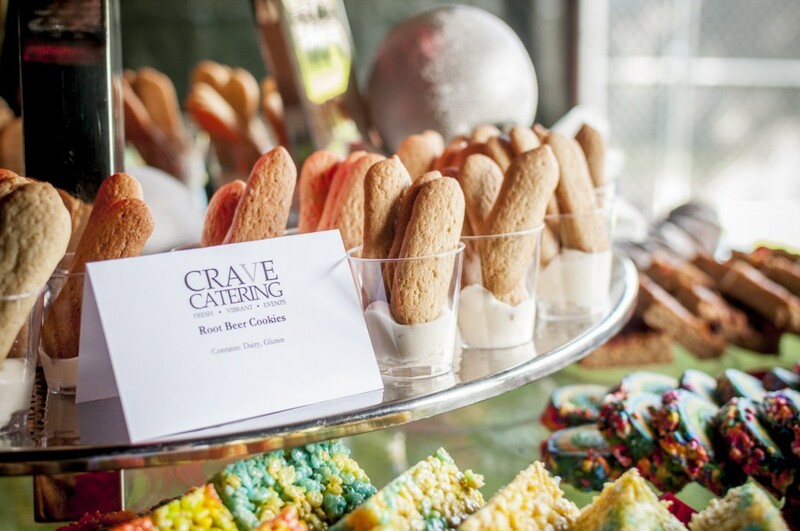 A CRAVE-catered event is somewhere in between traditional and trending. (Think simple glazed salmon meets street food stations meets mini pulled pork and pickled veggie sliders.) If you can dream it, we can do it. We brainstorm, cook, and serve high-end, interesting, flavor-packed food that will keep your guests talking; whether it’s grandma Betty gushing over your breakfast-for-dinner wedding menu or your boss’s boss demolishing their third chicken tinga taco and giving you a wink and a nod. Our staff boasts a collection of experiences and backgrounds and decades in the industry. But there’s one common thread between us all. Every member will act as your partner to create a customized experience that will keep you full, happy, and at ease so you can do what you do best: Enjoy every second of your picture-perfect party. We’re sharing our industry knowledge, tips, and go-to guides for your best event. (Ever.) 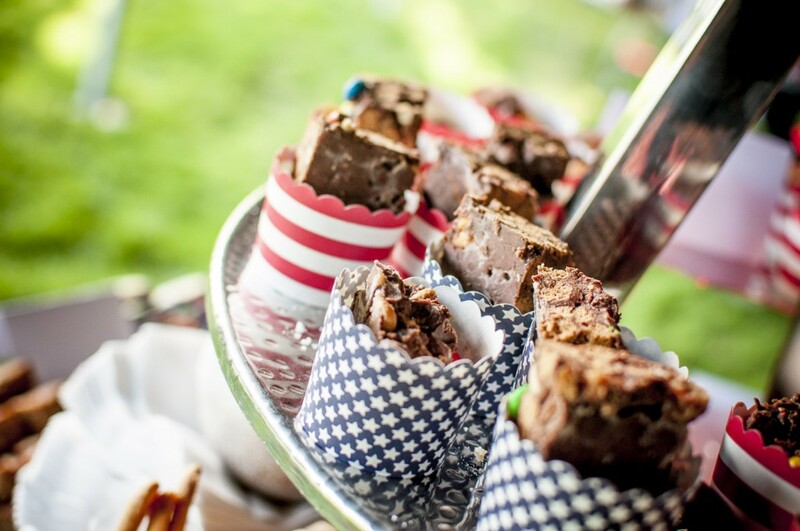 Stay tuned for articles and expert advice on how to host your next bash, both the big and the small. 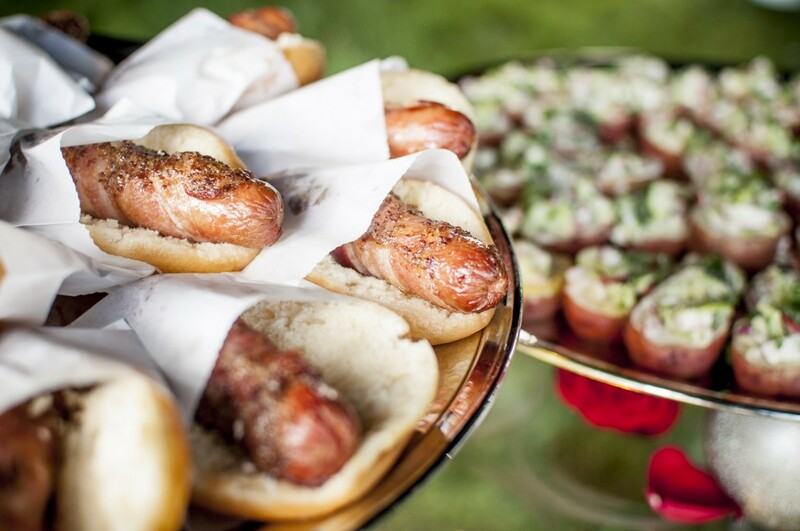 Q: What differentiates CRAVE from other caterers? A: We are a chef-driven company, and the culinary and sales teams work together closely. We will handle it all: venue site tours, design event decor, plan events inclusive of entertainment, flowers, food, decor. Our ability to customize menus for our clients has gone from 10 percent to 40 percent of events in the last four years. Q: What trends do you forecast for 2017? A: Experiential and local. The consistent theme is that whatever’s being served should be as interactive as possible. Food is becoming an experience. 2017 will also usher in a new focus on vegetables as center of the plate cuisine. Look for Central and South American cuisine to get traction on menus, especially seafood. A: I always want a “wow” factor, which sometimes drives my staff crazy because it can come last minute. There will always be an element of surprise when you work with me. I won’t lay out all the details when we’re planning. I want clients to trust me so they can have that extra element, and see something they didn’t expect. Q: What’s your best advice for brides and grooms? A: At the end of the day, especially when it comes to weddings, other people might have opinions. But they really just want the bride and groom to be happy. Remember, it’s your day. Q: What is the most important part of planning an event? A: Knowing the purpose. Are you showing a new space to a client? Is it an employee-only event, or a family picnic? 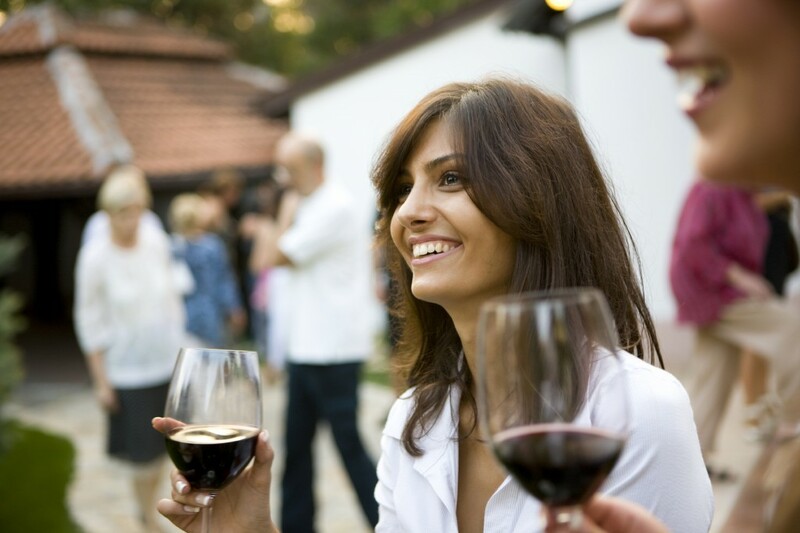 Once I know why you’re hosting and who is coming, I can help you with the venue, entertainment, and menu. A: Define your definition of a successful event. If you can tell us what success is to you, we can help you achieve it. Q: What’s something about you that might surprise clients? A: I’m a terrible cook; but I love event planning. My favorite part of my job is starting with a client who doesn’t know what they want, deciding their vision, and building a great event that makes them look good. Q: What are your favorite menu items this summer? A: I’ve noticed that people want fresh ingredients. Some summer classics are potato salad, coleslaw, brats & burgers, and anything with sizzle from the grill. We find ways to add that fresh factor with options like watermelon and feta salad, fresh salads, or a colorful burger bar to add a little boost to a boring dish. “What are the worst things that could happen at an event? To run out of food or not have it show up,” says Chestnut. 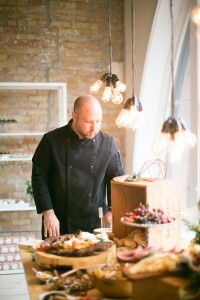 He coordinated with five local caterers to execute a unique concept he hoped would wow industry experts who’ve seen it all. They kicked off the night with a cocktail hour overflowing with gorgeous hors d’oeuvres and generous wine pours. Guests were asked questions about their orders, implying dinner would be a customized experience. “Then we juxtaposed the dinner by telling our guests we were having technical difficulties,” he says. In walked a team of valets carrying Chinese takeout boxes. Guests were surprised with housemade noodle salad, egg rolls, packets of duck sauce, and even chopsticks. The paradoxical theme continued through the evening. (Later on, the entrees were served in actual pizza boxes.) 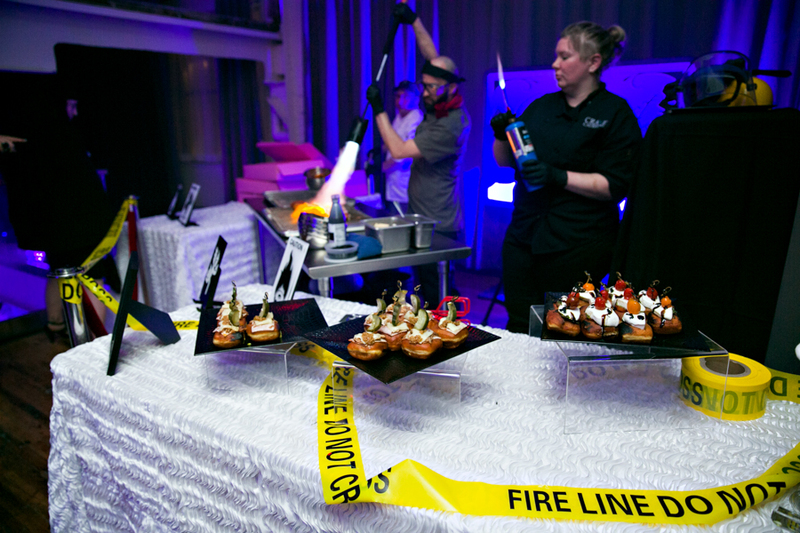 They capped off the night with nitro ice cream, cereal toppings, and flaming savory doughnuts, compliments of the local experts at Glam Doll. (Think melt-in-your-mouth doughnuts with nods to Cubanos and caprese salads). 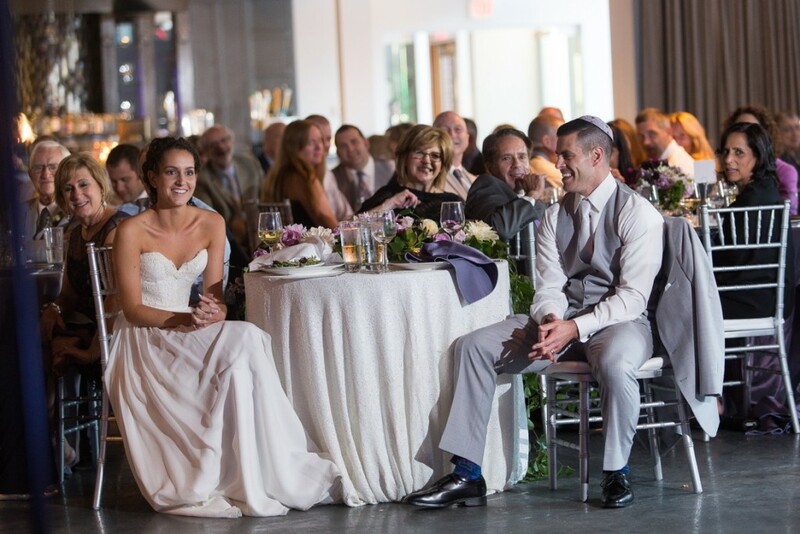 Sara and Jonathan Confeld were married on July 3rd, 2016 at MUSE in downtown Minneapolis. We asked Sara to share the most memorable moments from her dream wedding. I will never forget my wedding weekend. Having the most important people in your life all come together at one time is so meaningful, impactful, and emotional. Our food was incredible. The ahi tuna (seared sesame tuna served on a fried wonton with wasabi aioli) we served as appetizers were my favorite. I could have eaten the entire tray! I remember the moment when all of the guests, from kids to grandparents, came to the dance floor and participated in the Horah (our traditional dance). It was unbelievable. The bride and groom are lifted up in chairs while all the guests circle around them, singing and dancing. When I looked down and saw over 200 people smiling, laughing, crying, and dancing, I saw my wedding come to life. But, the most memorable part was having all four of my grandparents walk down the aisle. I was lucky to have four healthy grandparents in attendance. I have always been close with all of them, but had a special relationship with my papa (my mom’s dad). My amazing photographer, Sally Butler of LaVie Photography, felt a connection to him that day and took many pictures of him. She said there was something really special about him. Little did we know, four months after our wedding, he unexpectedly passed away. I was devastated. But I have the most incredible photos from that day. I know it meant so much to him to be at my wedding and see me walk down the aisle with the love of my life. 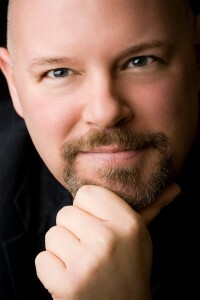 Pete Nelson has worked in events for 20 years, and has experience in anything and everything under the creative umbrella. He’s hired talent for a national events company, brought stage productions to life, hosted episodes on HGTV, dabbled in floral and event design, and even spent time as a professional singer. The recipient of local and national industry awards, he has a wealth of experience and the creative wherewithal to pull off any kind of event. Events don’t have office hours. I always tell my friends that event planning is a 24/7 job. You’re working evenings and weekends in addition to eight-hour days. The biggest challenge is finding time in your personal life. When in doubt, add flowers. If I could design flowers every day, I’d be a very happy man. It’s a thrill to see a venue transformed into the look the client is trying to achieve. Most of the event happens behind the scenes. 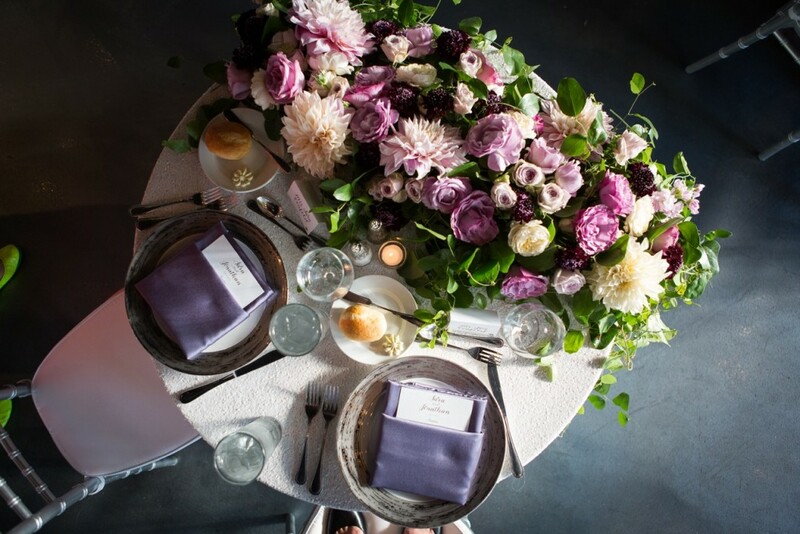 A lot of people think event planning is about picking pretty linens and flowers and going to fancy food tastings. The majority of the job is logistics to take your client’s vision and execute it flawlessly and without ego, and 90 percent of your day is time management. Once an event planner, always an event planner. You’ll never be able to go to any event again and not feel the urge to take a leading role, whether it’s fixing decorations, opening doors for guests, or straightening a crooked sign. Location, location, location. It’s heralded in real estate and top-of-mind for event planning, too. This month we’re focusing on our recently refreshed MUSE venue in downtown Minneapolis. 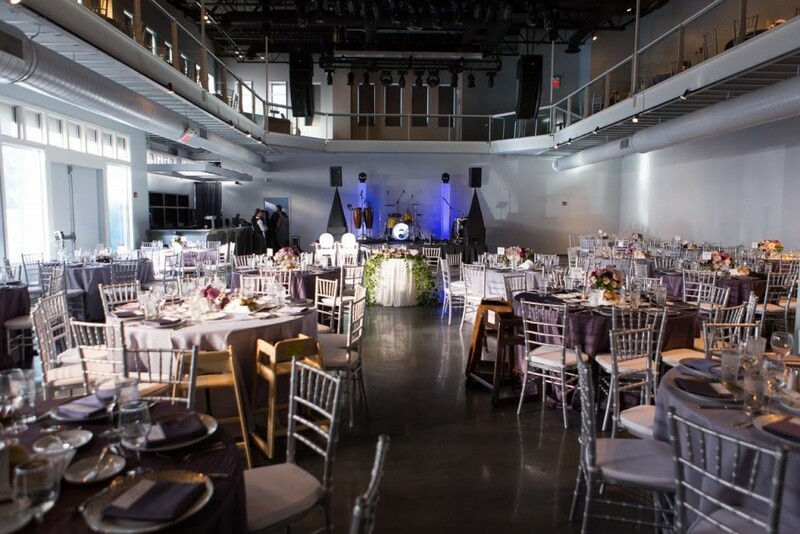 It’s a customizable space with enough room for large-scale events without losing the feeling of an intimate gathering. Bridal Suite: We are the only venue in the Twin Cities to offer a dedicated bridal suite for the bride and her wedding party. Tucked away from spying eyes, it features lockers for everyone in the wedding party, private shower and bathroom, and a full length mirror for that magical moment you first lay eyes on the bride in her dress. Lighting: We upped our lighting game to total glam with sparkling chandeliers. No need to allocate a lighting expense in your budget. These are simply breathtaking. Wallpaper: We upgraded a few of our spaces with tasteful, stunning wallpaper. The new patterns and textures break up the space, giving each area its own unique, intimate feel. Our expert team is always on the hunt for the next big trend because we want you to look your best on the day of your event. That’s why we keep a running tab on most of the innovative food, design, and floral on both coasts and everywhere in between. Where have we seen it? Omaha, Neb. Why do we love it? It’s a fresh twist on an all-time favorite. We love subbing out the standby chips and dip with thick-cut potato chips, beer cheese sauce, and short rib gravy.